Lana Del Rey Makes a Special Surprise Visit to Seacrest Studios! 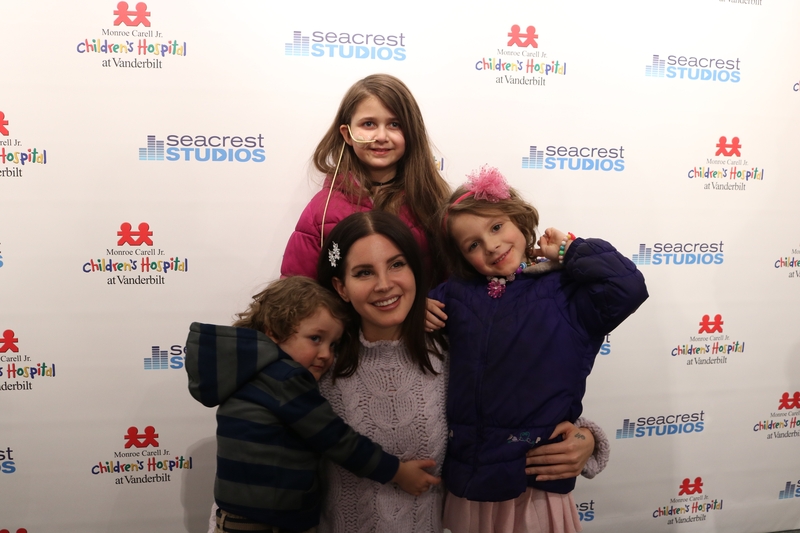 Patients were all smiles when Grammy nominated artist and friend to Seacrest Studios, Lana Del Rey, made a surprise appearance at Monroe Carroll Jr. Children's Hospital at Vanderbilt. Immediately after landing in Nashville, the talented musician stopped by the studio to answer questions, sign autographs, and play games with patients in the hospital. Before heading to Bridgestone Arena for her “Lust for Life” tour, fans were let into the singer’s inner circle learning how she tackles nerves and prepares for a big show. With a musical family and an uncle in Nashville, Lana confessed she feels more anxious when playing a smaller venue such as The Ryman, over a larger show like Bridgestone Arena. She then gave patients the inside scoop on her pre-show ritual: Lemons, hot water, and 30 minutes watching another artist give a live pop performance to spark her own energy. The visit continued with questions from patients like, “What is your favorite emoji?” In a struggle to determine just one studio-goers learned she loves both the double pink hearts and the unicorn. After all questions had been answered, the singer was swept into a game of “Lana Del YAY or Lana Del NAY”. Featured in the video above, Lana was prompted with questions to which she had to quickly respond with a ping pong paddle: one side featuring a happy photo, yay, and the other more intense, nay. In a room full of fishbowl questions tightly clenched between small fingers, Lana Del Rey set out to make a rainy Tuesday just a little bit brighter. With a lingering smile she noted, excursions such as visiting Seacrest Studios make touring through countless cities all the more meaningful. Thank you for visiting with so many incredible patients throughout your tour Lana, you've left fish pebble in our hands, and a stamp on our hearts!